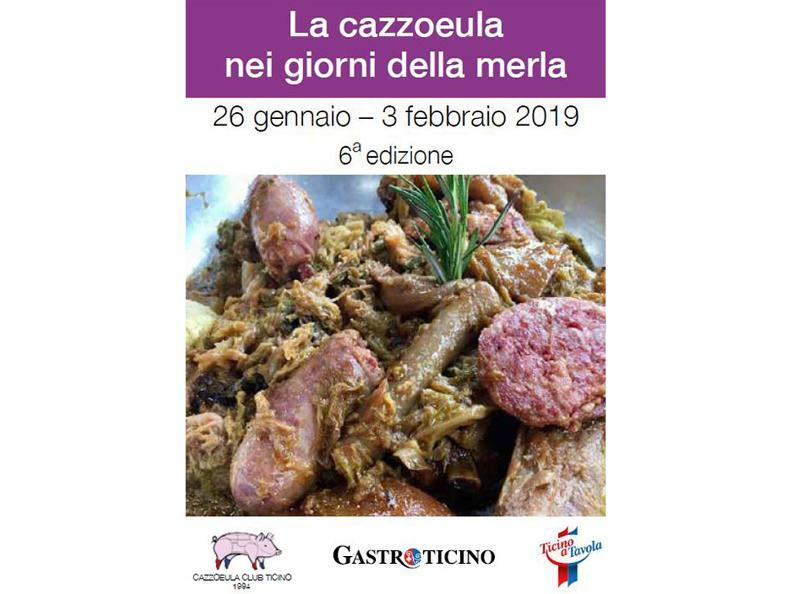 "Ticino a Tavola", on the idea of the "Cazzoeula Club Ticino", organizes from Saturday, the 26th of January to Sunday, the 3rd of February 2019, the sixth "Settimana ticinese della Cazzoeula nei giorni della merla", in which about forty restaurants from all over the Canton Ticino participate. 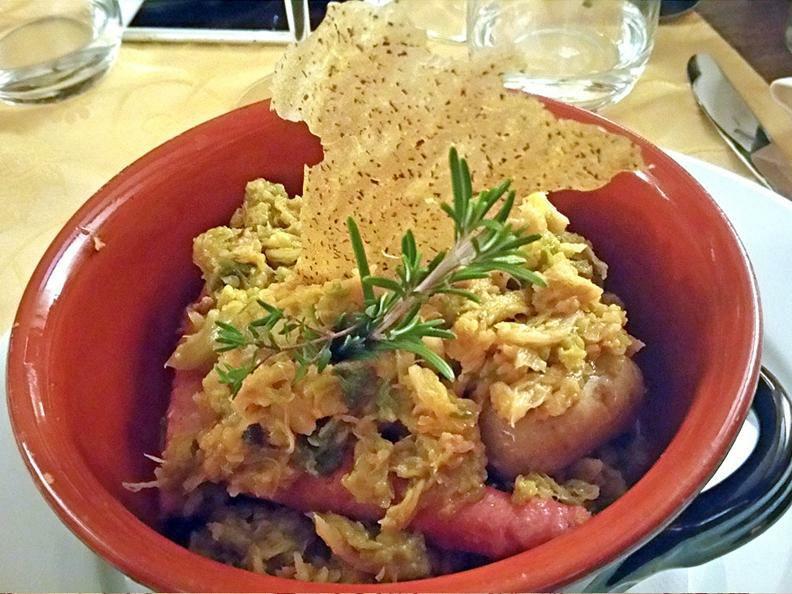 In addition to the "cazzoeula" in some restaurants you can also taste "trippa" and "busecca". The "cazzoeula" (but also cassöla, cassoeula, casoeula, cassouela, casoela, cassuola and cazzuola, derived from the casserole) is a typical Lombard dish that was born at the beginning of the twentieth century, although older and more uncertain variants are known. 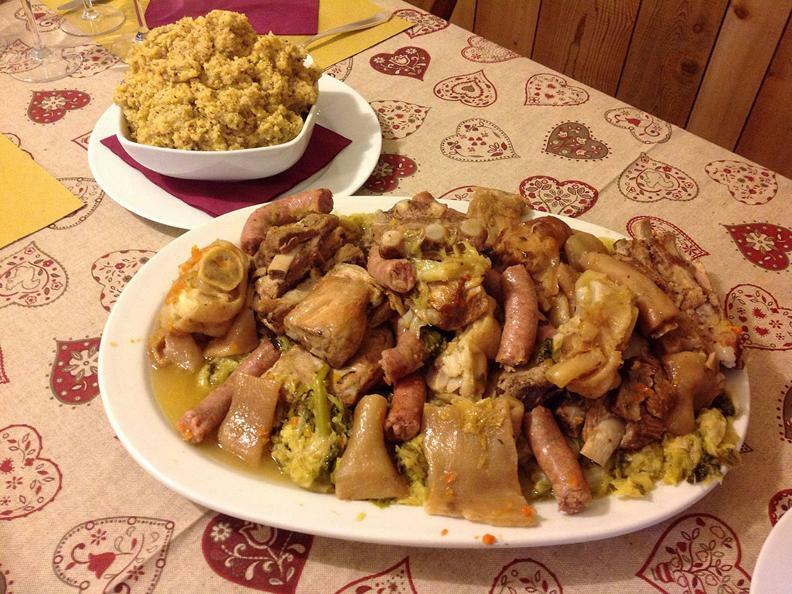 Certainly, however, is that it is a winter dish related to the end of the period of slaughter of pigs, which coincided with January 17, the day of Sant’Antonio Abate. The classic ingredients (but there are countless recipes) are feet, ribs, rind, head, salamis called "verzini", and of course a lot of cabbage, the one that has suffered the first winter frost, thus becoming more tender. All the information about the event, the guide, the list of restaurants and the dishes served, can be found on the website ticinoatavola.ch.